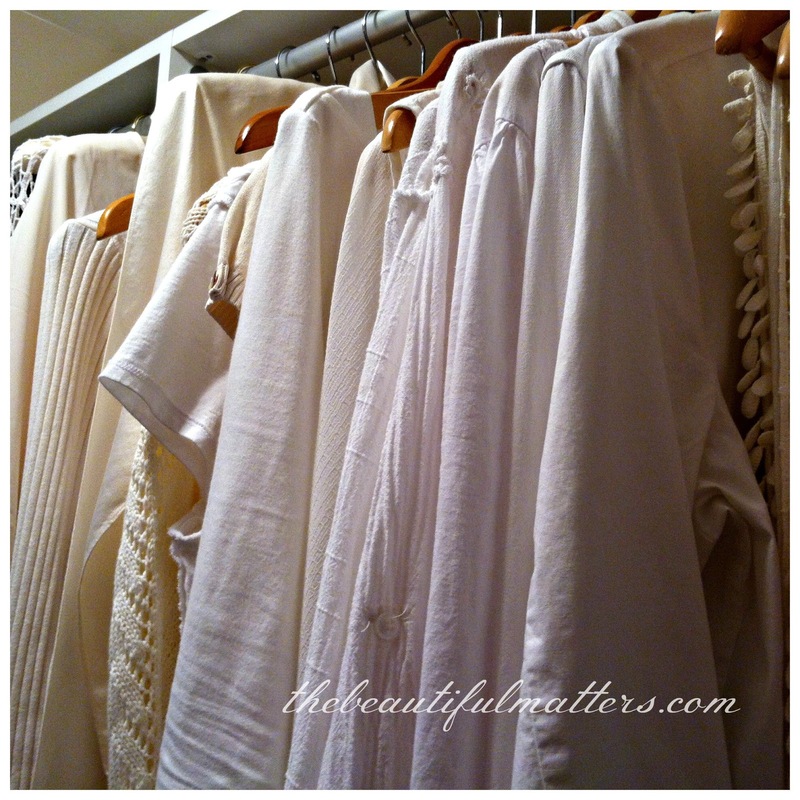 Your dreamy creamy whites look lovely....I have mostly black and greys hanging in my closet. Our heritage house is mostly dark fir panelling and I do crave whites in the bungalow. Perhaps that is why I collect matte white pottery. 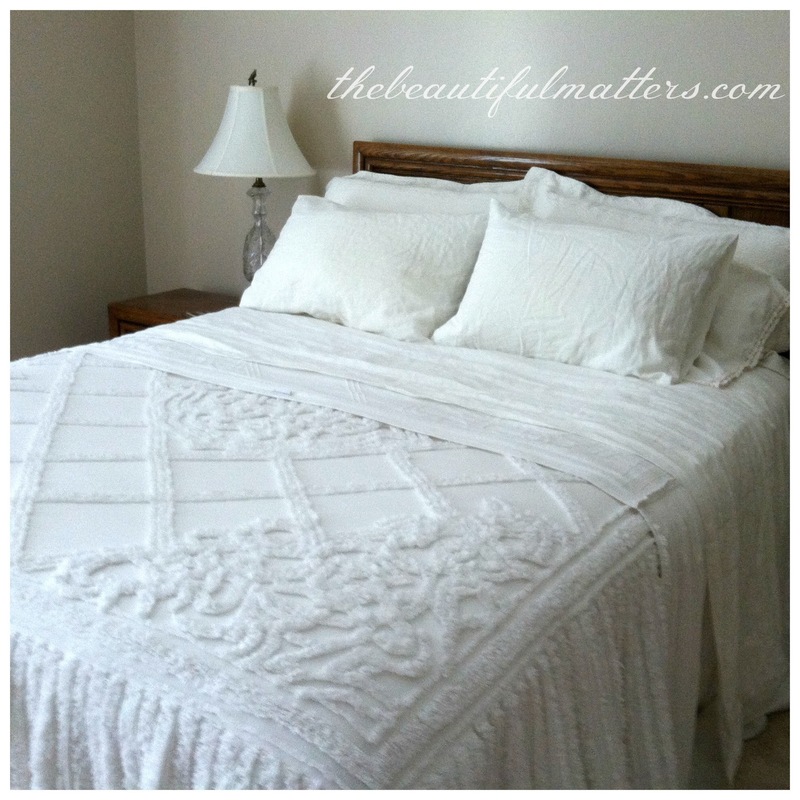 Your bedroom looks like an oasis of calm...our bedroom will be shades of white when we redecorate. As you are aware I am nearly completely allergic to colour so your inspiration pallet board is awesome - love the soothing neutrals..............but gotta say those placemats Grandma made you rock - love it, made me laugh. You write the cutest posts. The white looks really really nice. How about the cleaning? Sticky fingers? Dirty jeans? Dust storms? Smoke? Shoes inside the house? Pets? Be beautiful, but do not make a rod for your own back. Believe me, I'm all about keeping it simple. Shoes are always off at the door, cat hair doesn't show up as much on lighter fabrics, and I'm not afraid to use bleach once in a while. My kitchen cabinets are white (they were here when we moved in). They are my only issue. They show everything and I'm always wiping them down. At least I know they're clean! No not all white but I've always shunned the loud and colorful things, especially with flowers on and such... Never had any wall paper for that reason, except in our bathroom a very soft pinkish kind of Cacharel flower. But we surround ourselves with what we love in general and a home has to reflect who you are! Enjoy your weekend and your newly done floor. Hi Deborah, You will love shades of white. I am loving the tone on tone of shades of whites, creams and ivory and started to add them several years ago into my home. Love your pics. Your bedspread is gorgeous. 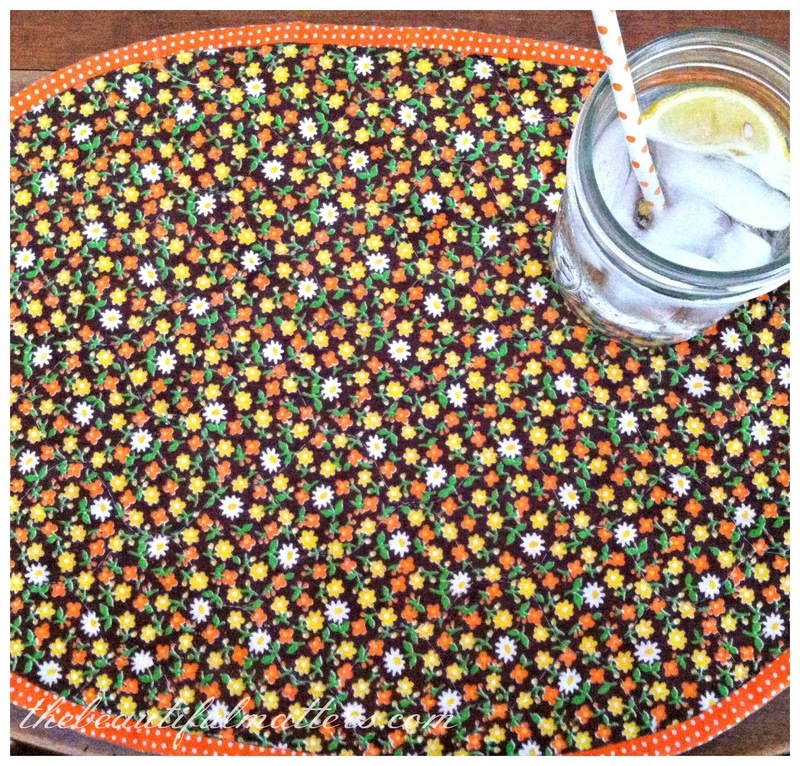 Love your grandmas placemats. Perfect for the fall. Have fun with white and your new kitchen look too. Beautiful choices of whites, Deborah. You'd never know it from my colorful blog, but our coastal home is completely decorated in neutrals, with the exception of my "imaginatory" which you've seen has some punches of sunny yellow. When we moved to our transitional house in 2012, I got rid of all our furniture and started fresh. We've been acquiring special pieces for our dream cottage. I don't want all white furniture because I love the warmth of maple and wicker, and I do not like painting over fine wood, but as far as the walls, the linens, dinnerware, etc., all is white. I love gray too. We want to save color for the view outside our windows, the flowers in our vases, and the paintings on our walls. 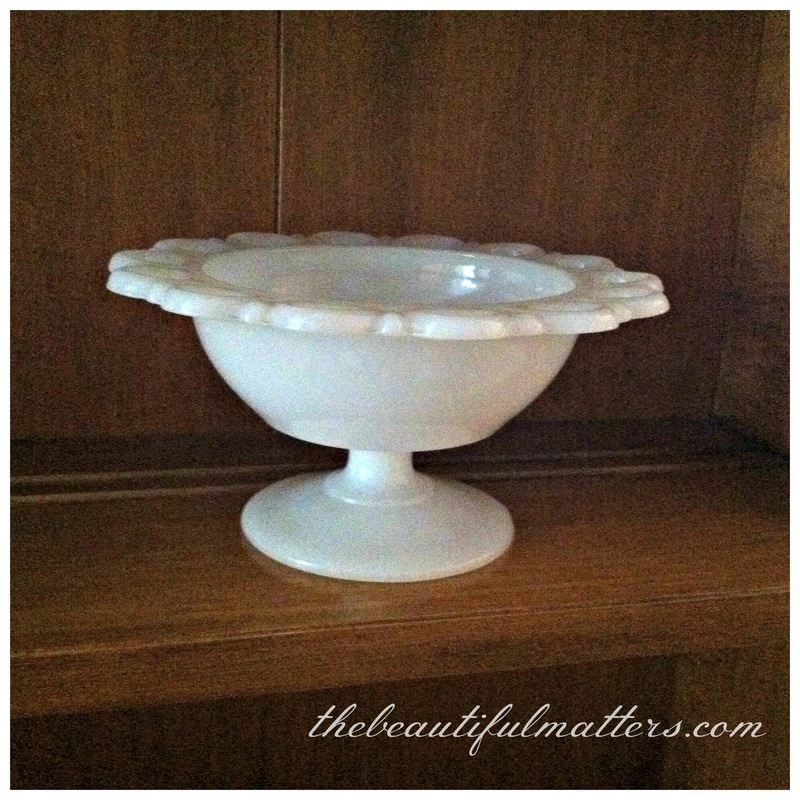 I have a maple hutch (who goes by Miss Maple) that is filled with white ironstone and china. Show us when you redo your hutch. Whites can be very calming. I have followed a number of blogs where the blogger does all whites. Love all your whites. The bed in the master bedroom has been white for quite awhile now and I like it. Kitchen is blue and yellow. Living room pinks and off white with one burgundy/cranberry sofa and one off white one. Love the soft color palette. I have been thinking of getting a off white bed spread (much like yours) and then if I want color; I can add a quilt at the end of the bed. Everything you showed is lovely. I think we all have some favorite things that we love that we will always want to find room for no matter. 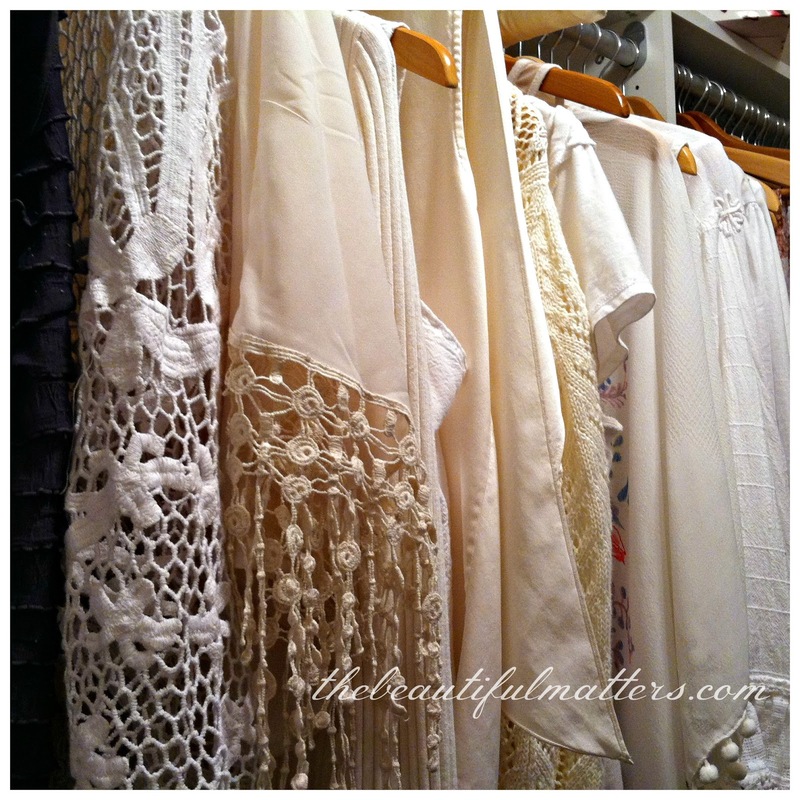 And your closet is beautiful! You wear such feminine, pretty clothes. Hugs to you, sweet lady! I like the old Victorian look of dark wood but admire the bloggers with white. One of the tea bloggers has been painting all her things white and they look very nice. 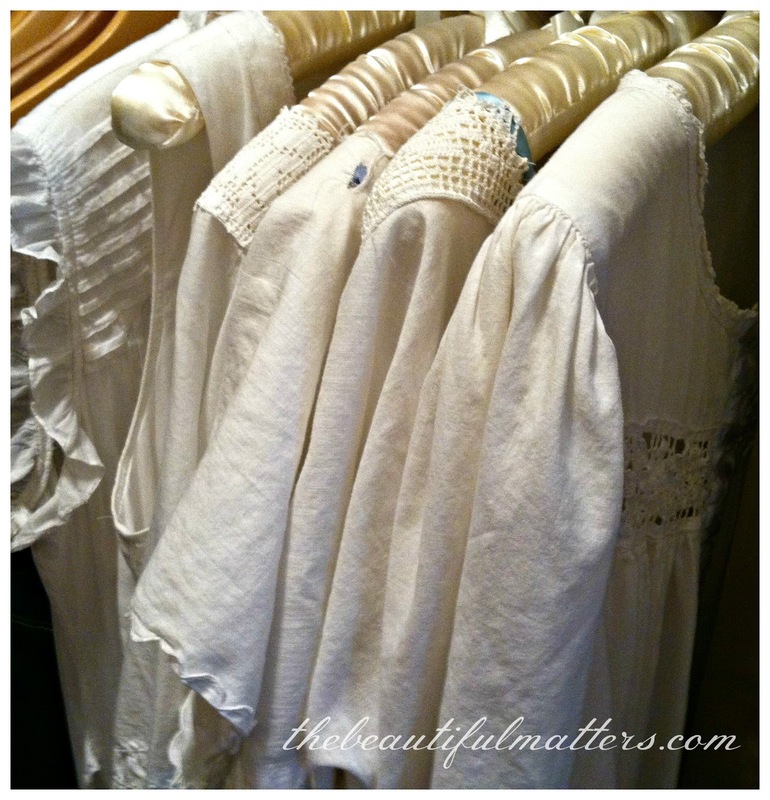 My whites are only linens and accessories which include a lot of lace. my color palette is "clean"; what with all I have to do, clean is an amazing accomplishment. I used to say I had high standards and low expectations and was seldom disappointed. now it's all just enough to get by. I have to agree with you completely on color choices and white. 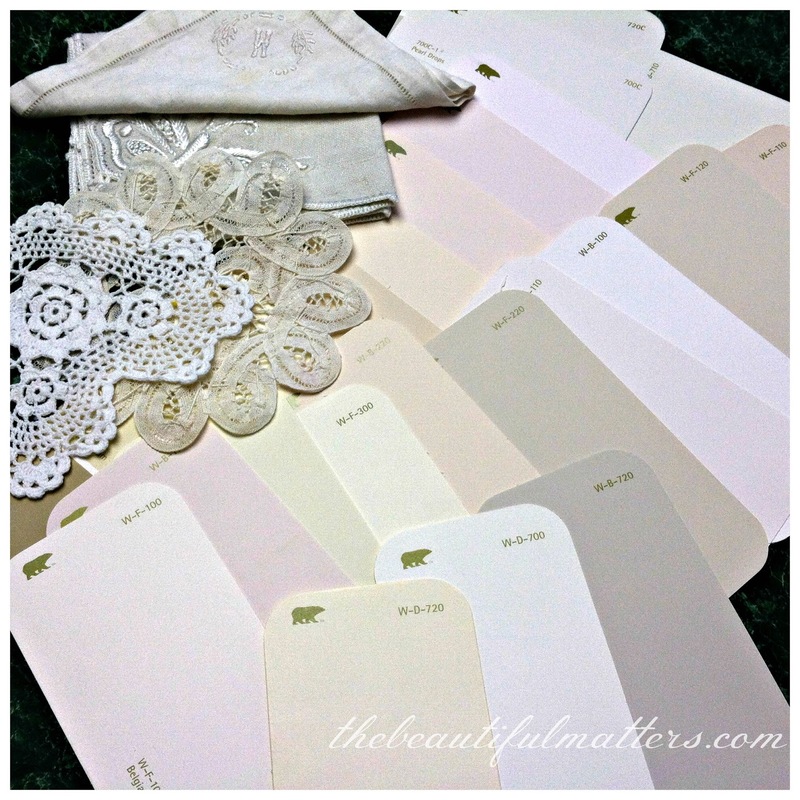 ( although technically white is not a color but the inclusion of ALL color ) I love color, and am often impressed with what some people do within their homes using brilliant colors, but when I go home , a soft palette, an almost all white palette helps calm me and allows me to think , be at peace, etc. Not saying one cannot think and be at peace with color, because often that inspires me in such a way I am all a-tingle with creativity, but more often, I need to be ale to be at peace at home. At ret, a rest that gives me the energy to go after all that creativity inspired by color ! I love what you've done with your places of refuge and tranquility at home. Love your post about 'whites'. I have the same doilies you have... and the little white bowl... I have one just like that too. It was my grandmother's. It has a glass top with holes so that you can arrange short posy-like flowers in it. I am drawn to the lovely whites in your wardrobe. Such feminine pieces. My own wardrobe hosts mostly blue/sea green/aqua/turquoise which I love to wear. 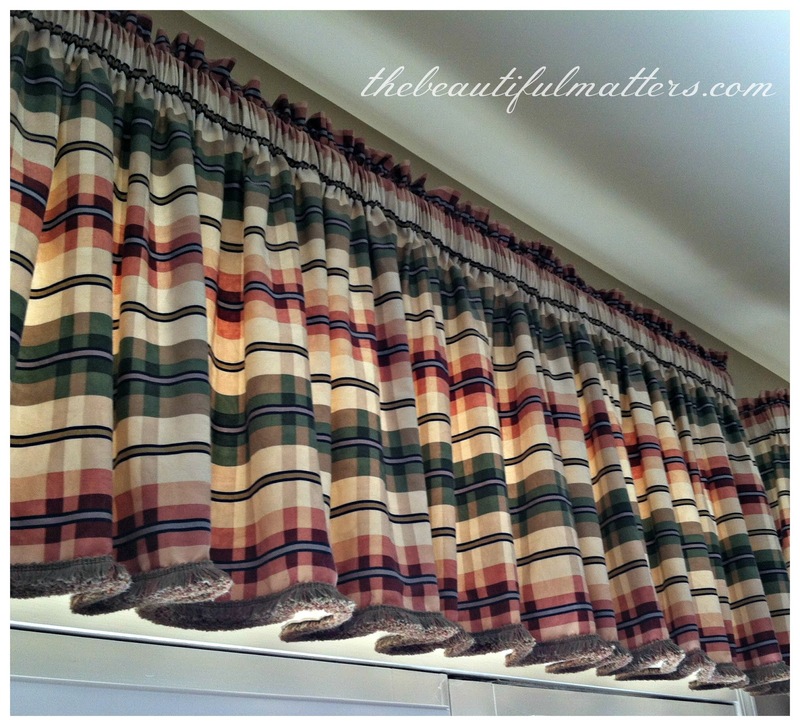 I could totally live with either of your valance fabrics and colours. I do love your white palette ideas, Deborah. So fresh! I've always been a rather "mocha palette" person. I like brown wood furniture and soft tans, browns, creams, etc. 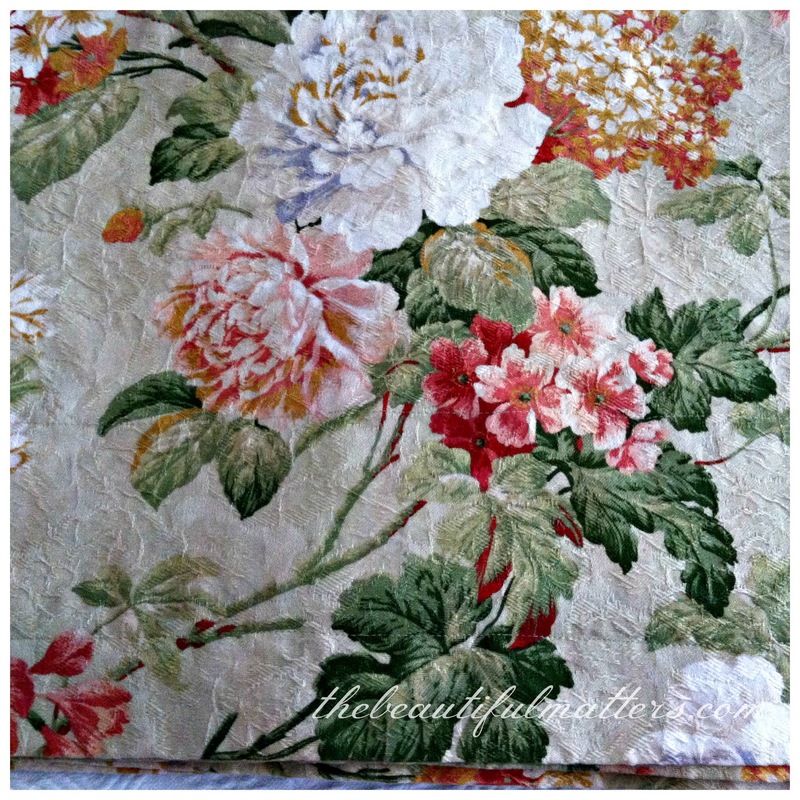 in fabrics for around the house. Our master bedroom is a soft mocha color and the woodwork - trim around doors & windows - is a fresh cream color. It's soothing. What an interesting idea to arrange your clothes in color groups! I'm going to have to give that a try to see how it turns out.